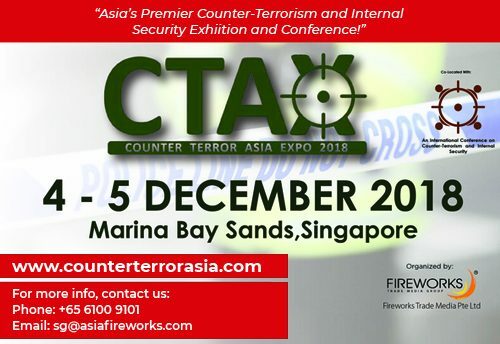 Counter Terror Asia Expo provides an industry event with features that ensure up-to-date accurate analysis that is critical to protecting and shaping future policies. The show incorporates 3 major events: Homeland Security Asia, Installation And Critical Infrastructure Defence Asia, and Cyber Defence Asia. It brings together 3,000+ senior professionals from the Government, Private Sector, Critical National Infrastructure, Military, Law Enforcement, Transport Security, Border Security, Security Services, Major Events and Emergency Services.